Depending on your perspective, this release is either AOTY* material or totally dubious. Or both! Whatever it is, I like it. Here's the deal: Canadian underground metal combo Barrow Wight started life as a Venom cover band. You'll be able to tell right away – vocal-wise, the singer is a dead ringer for Cronos, for one thing. Along with his gravelly gargle, the raw bass-heavy riffage on offer here likewise owes a lot to Venom. But, as maybe you can glean from their name, this band is also obsessively into the Lord Of The Rings, that's their entire theme. The strains of Pink Floyd heard here help to make Barrow Wight stand out as being not just a mere Venom clone. Elsewhere, also, occasional echoes of the acid rock of Uriah Heep, The Doors, and/or Iron Butterfly crop up by surprise. 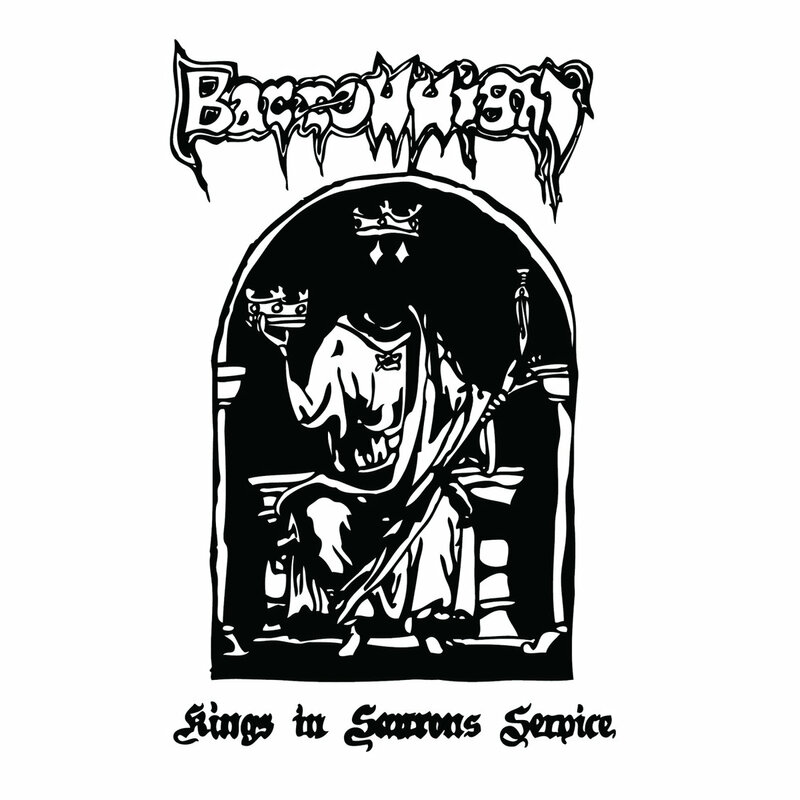 One of the most overt examples of Barrow Wight's 'psychedelic prog chocolate in my metal punk peanut butter' songwriting schtick occurs at the two-and-a-half minute mark of "In League With Sauron" when the heavy, dirty riffing suddenly gives way to some groovy organ-based jam-a-lama, unexpected and exuberant. 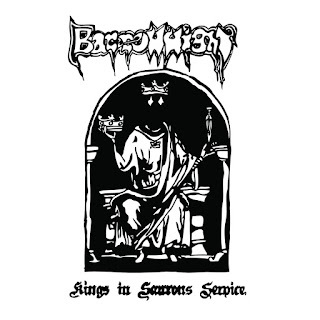 The result of this stylistic collision is that Barrow Wight are one of the few bands around who, probably without even intending it, could hang with the similarly screwy likes of Meads Of Asphodel and Zemial (the musty majesty of the sinister, percussive "Dwimmerlaik" really reminds me of those genius Greeks). *That'd be 'Album Of The Year' for last year, but that's ok, 'cause we haven't finalized our 2016 lists yet. **Though not as odd as the Tolkien-themed dub of Prince Far Isengard!